The ApexDesk Elite Series electric standing desks are considered among the best in terms of mid to high-end height adjustable desks. Available in two sizes, either 60″ or 71″, this product is one that has received raving reviews from the majority of its users. Like other similar desks on the market, such as the iMovR Everest or Fully Jarvis, the ApexDesk has great features such as good stability, a quick adjustment speed, programmable heights, and brilliant wooden finishes. In fact, if you’d like to see how the ApexDesk holds up against the competition, you can see it in our comparison of the best standing desks with adjustable heights. In this article, we are going to look at its characteristics, pros, and cons and hope that by the end of this article you will have enough helpful information to make a wise purchase decision. When it comes to the overall specifications of this product, there is nothing out of the ordinary, and it compares pretty closely to other desks on the market. One thing to note which we mentioned before is that it comes in two different sizes, a 71″ or 60″ model. These models use the same frame so you can expect the same performance from both. Light oak, white, red apple, red cherry, black, and walnut. The electronics carry a two-year warranty while the frame has a five year grace period. 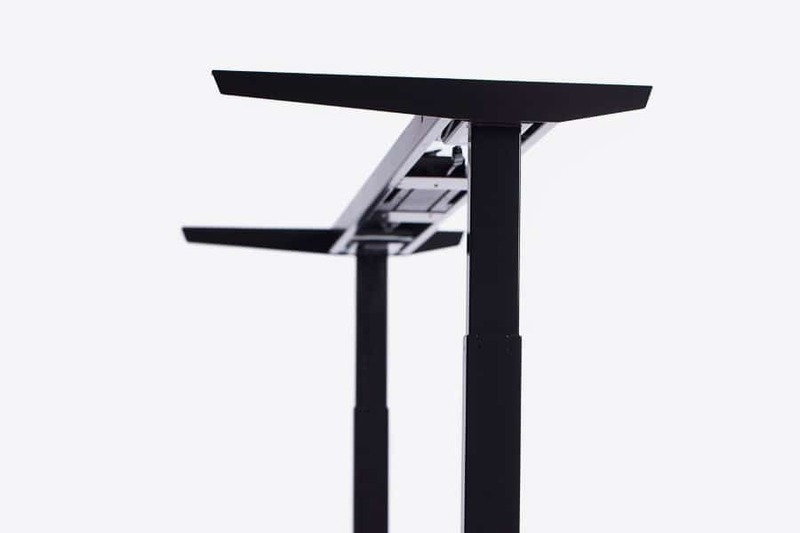 Many stand up desks have a crossbar under the table top for support to prevent wobbling. The presence of the bar, however, takes up some useful space for stretching your legs or using an under desk treadmill, for example. 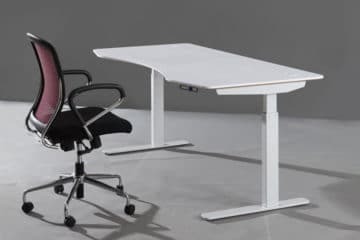 By removing this bar, the user has a bit more space and freedom to use different kinds of under desk exercise equipment that are a great addition to a standing desk. The ApexDesk frame is sturdy despite not having a stabilizing crossbar. This desk has two motors that make adjusting it quite simple. At 1.3″ per second it has a pretty fast adjustment speed, among the fastest desks out there. It also can do this whilst only creating less than 50dB of motor noise, which makes it also one of the quietest desks on the market. The build quality of the ApexDesk is high and this product has received no complaints regarding the quality of the frame nor the tabletops. More importantly, due to the strong frame, the ApexDesk is also known to be a very stable standing desk, despite not having the typical stabilizing crossbar. We always consider the stability of a standing desk, and so should you when looking for the right desk for you. Stability in the form of little-to-no side-to-side or forward and backward wobble will be a key factor in the enjoyment and benefit you get from a product like this. Given the “elite” status of the ApexDesk and the fact that in terms of build quality, functionality, and design it competes with some of the very best desks, it comes at a very affordable price. We would consider this desk in the category of “very good value for money”. If you receive this desk and you are unhappy with it, you can return it, and you will get back your money minus shipping costs. Please note however that you cannot return damaged or already installed goods. All goods you return should still be in their original packaging. You can either adjust the desk manually or use memory programming, as with many of the upper-end standing desks. Once you use a precise height adjustment, it is saved, and the next time you will not need to set it again. All you will need to do is press a button, and it moves to where you’d like it. 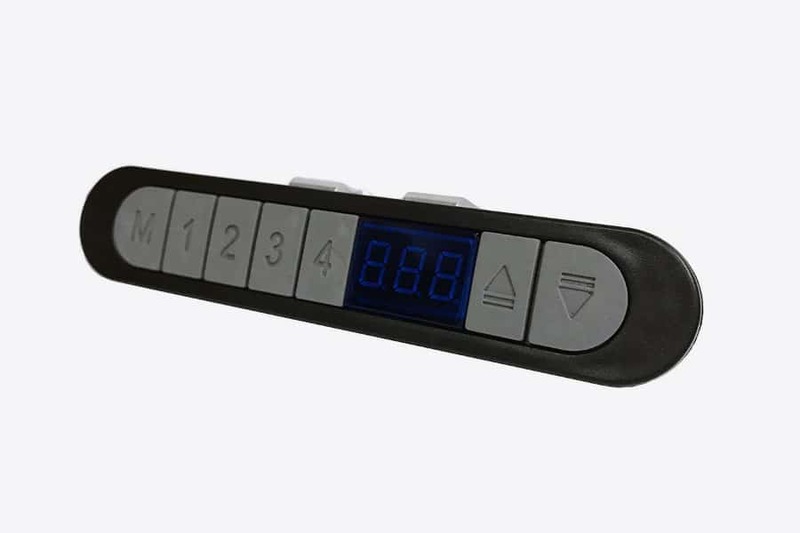 At an additional cost you can add a pre-programmable controller to the desk. 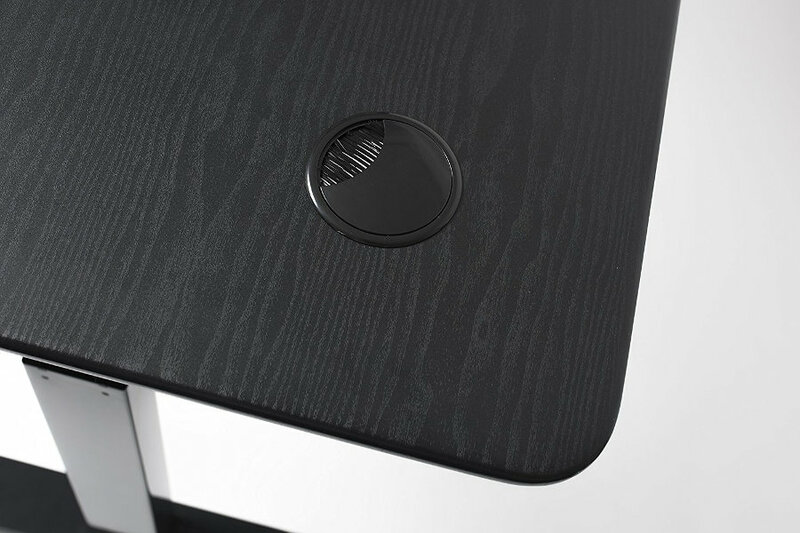 If you are one of the people who are particular about the beauty of your desk, the Apex elite is for you. It has a professional finish and will look good anywhere from your home office to a shared working space. It also spots a wood grain look that gives it a premium feel. The desk’s luster also doesn’t fade fast with time. You’ll have it for years, and it will still look as good as new. 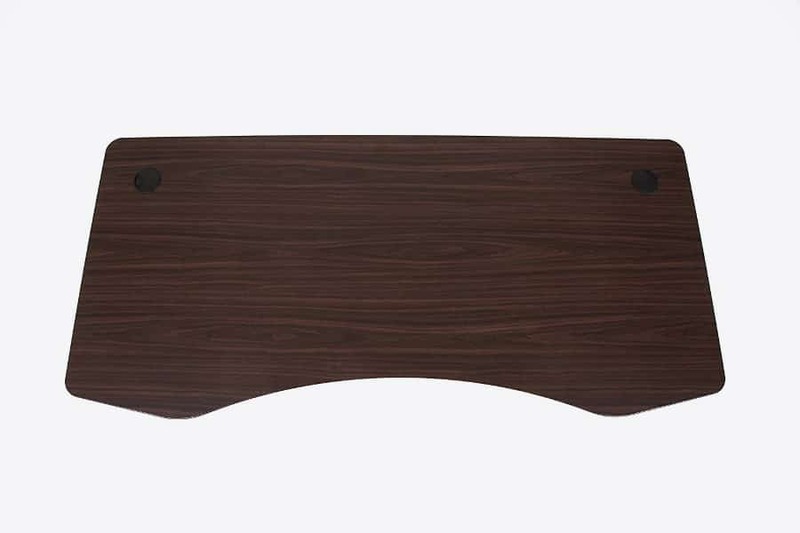 Dark walnut is just one of the many beautiful laminate finishes that ApexDesk offers. Don’t you just hate it when you have a problem with a product, and the company that sold to you doesn’t seem concerned once you’ve parted with your money? This company is not like that. If you call, the customer care personnel will listen and make sure they help. 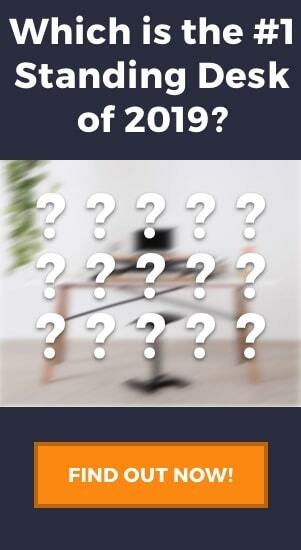 DID YOU KNOW: We have ranked the ApexDesk Elite in the top standing desks of 2019. See the full list here. Despite all the good things we have to say about this desk it also has a few shortcomings. Part of the reason is that it is one of the pioneer standing desk models, and being a first mover they have yet to make adjustments that we believe more improve the overall value of the standing desk. Unlike other standing desks like the Fully Jarvis which has many different size options to suit almost any office, the ApexDesk only comes in the 60″ or the 71″ models. These sizes are what most would consider “standard”, however, if you need a much smaller or much larger desk then you’ll have to look at other products. The desk rises to a maximum height of 48″ which, according to our desk height chart, is sufficient for people up to 6′ 4″ (give or take). However, if you want to make sure that you’ll have a table big enough, there are much taller standing desks that you can choose from. Furthermore, the desk’s lowest level is 29 inches; shorter people may find this a bit high for their regular height chairs. Though a taller chair might help, it is an inconvenience and extra expense. It would have been better if it stopped at between 25 – 27 inches. The ApexDesk has two grommet holes in the desktop, which are great for organizing the cables somewhat. By feeding all the cables through these holes you can create a clean and uncluttered desktop, however, it still leaves an issue of what to do with all the cables beneath the desk. Many standing desks come with what is known as a cable management tray, which is like a long basket that attaches to the bottom of the desktop at the back. Here you can arrange all the additional wires and cables to make sure your workstation is not only safer but just more aesthetically pleasing too. Unfortunately, the ApexDesk does not have this option, and it is one addition that we believe would improve the desk without a doubt. If you don’t mind doing your own handiwork, then you can buy these cable trays separately and attach it to the desk yourself. There are two grommets in the desktop, but no additional cable trays to hide all the wires. The warranty period for the electronics is just two years. Many of Apex Elite’s competitors offer five years for electronics, which gives you a little more peace of mind. We haven’t seen many complaints from users regarding the electronics or the warranty, but generally, with an expensive purchase, you should keep it in mind. The Apex Elite also has accessories that are sold separately to the table. These accessories are also relatively cheap and may make your desk experience far better, so probably worth checking them out too. In the end, the money you save by choosing a cheaper standing desk like the Apex Elite can be used to invest in a few extras on the side. With this desk being on the heavier side moving should be a nightmare but that will not be the case if you get the rubber casters. The major issue with larger standing desks is often the lack of maneuverability. In fact, many people choose standing desk converters for this very reason. Adding a couple of casters, to the frame will make moving the desk around the office far easier. 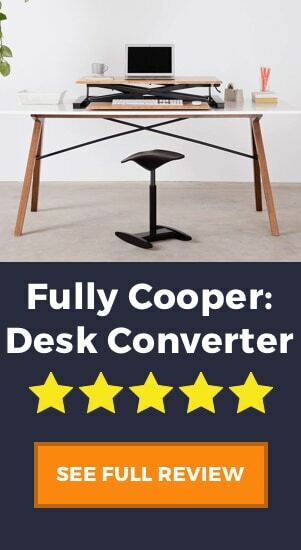 You will no doubt be working with computers and maybe even gaming equipment with this desk, so you’ll definitely need some form of power bank to charge all your equipment. Well, to make your life easy you can get a Power Grommet. This is a handy way to keep your cables tidy and also easily accessible. The grommet holes have two UL certified AC power outlets and USB cables, so you can charge plenty of different items at the same time. The standing desk is the new office staple, and we are going to see more and more of them as time progresses. Shopping for a standing desk can be an overwhelming process, and you may not know what to look for. Overall, we think this is a great value for money desk. 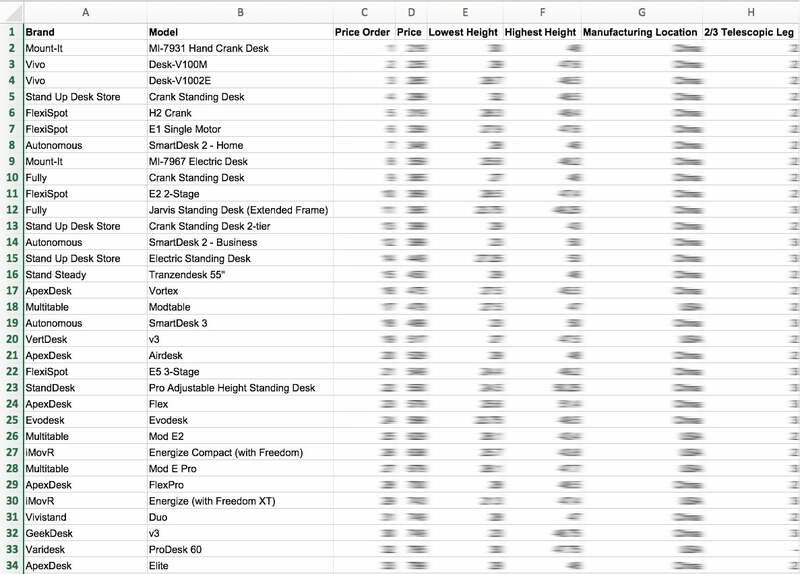 In terms of quality and design, it is even able to even compete with some of the more elite brands, yet it comes at half the price of these top-tier desks. It’s no wonder that this desk is one of the most purchased and highest rated desks on Amazon, and despite a couple of shortfalls, we don’t think you can go wrong with this one.